As I was just about to throw away a bunch of boxes that were the remnants of an Ikea and Costco excursion, my boys broke out into another fight. 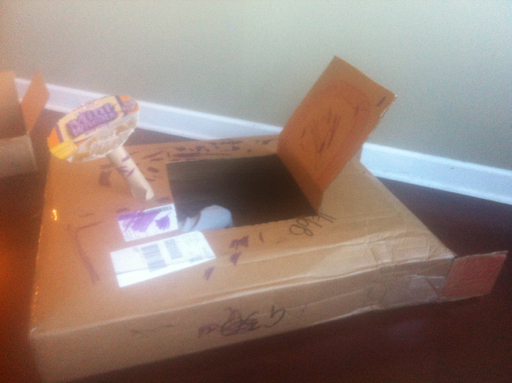 Determined to avoid my chores I decided to divert the boys attention and mine to something a little more fun...cardboard spaceships. 2 hours in, no fights, plenty of laughs and there is still plenty of coloring, wing building and flying to go.